Party Hat Origami- In this world parties are always presents, during birthday, weddings, baptism and etc. There are different props that is always use in parties, Hat is always noticeable pair with different colors and designs. 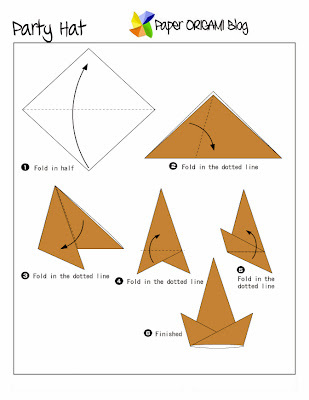 If you wanna make you own party hat This Origami diagram is for you. Enjoy!